On Track is here again! 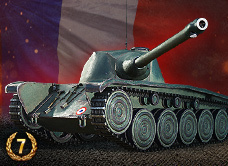 For the next two weeks, your objective is the AMX 30 B: an elegant tier X French medium tank. It’s got excellent camouflage, great view range and good gun handling even on the move! The AMX has the flexibility and firepower to be an excellent support vehicle, delivering damage from a distance and relocating as necessary. Play to these strengths and you’re sure to whittle down the enemy team! For the duration of this On Track, enjoy discounts on tanks leading up to the AMX 30 B as well as missions designed to accelerate your progress towards this excellent medium, and potentially earn a Matilda IV! 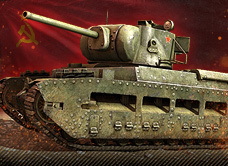 Finally, if you're looking for a fast-moving, fast-shooting Premium medium tank to train your Crews as you move up the AMX 30 B line, check out the AMX CDC! Beginning September 1, 2015, there is a change to how earned or won Premium vehicles are credited. Complete On Track to the AMX 30 B four times. Complete On Track to the AMX 30 B eight times. We now accept American Express, Diner's Club, Discovery and JCB for purchases made in the Premium Shop!